Kyle Julius raised to 12,000 from late position and Eric Molina called from the button. The big blind called and together the three saw a flop of A 7 5 . It checked to Molina, who bet 20,000. The big blind folded and Julius made the call. The turn brought the 6 and Julius checked to Molina, who cut out a bet of 50,000 and pushed it into the pot. After some thought Julius cut out a reraise and slid it into the middle. Molina almost instantly announced that he was all-in and Julius just as quickly called, flipping up the 4 3 for a turned straight. Molina had the A 8 for top pair and a higher straight draw. The 4 hit on the river, giving Molina the superior eight-high straight and the pot while sending Julius to the rail as the bubble boy. After the hand Molina built his stack to over 650,000. Zo Karim opened to an unknown amount and was raised to 9,700 from the button by Ryan Laplante. Kyle Julius made it 22,700 from the small blind and it folded back around to Laplante. After plenty of deliberation he made it 35,200 total to go. Julius asked what he had left and Laplante replied that he started the hand with around 90,000. Julius then announced that he was all-in. Laplante quickly folded and Julius rolled up the K J as he pulled in the pot, increasing his stack to 150,000. Kyle Julius entered the final level of the tournament on the short stack with just 14 big blinds and was eliminated shortly after Level 33 began. On the final hand, Panayote Vilandos completed the small blind to 160,000, Kyle Julius moved all in from the big blind for about 2.1 million and Vilandos called. Vilandos was ahead before the flop with A J against Julius’ A 5 . 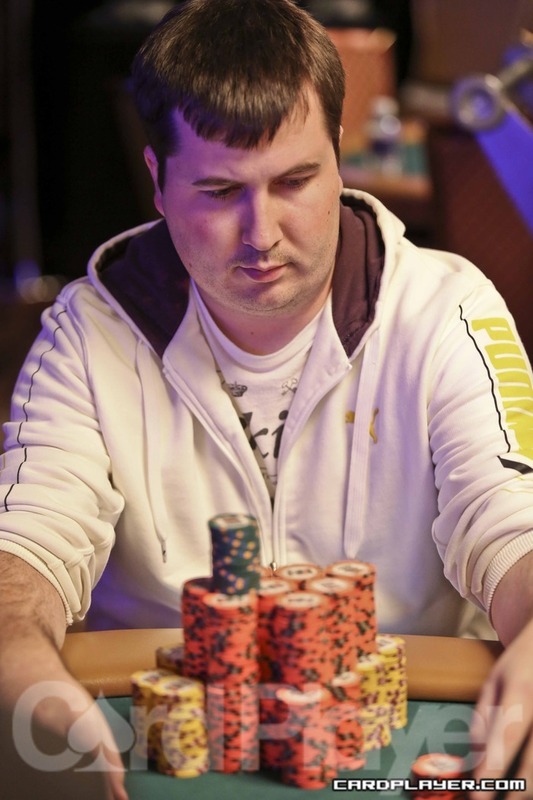 The board came K Q 4 3 10 , offering no help to Kyle Julius who was eliminated in 2nd Place ($589,687). Panayaote Vilandos wins Event no. 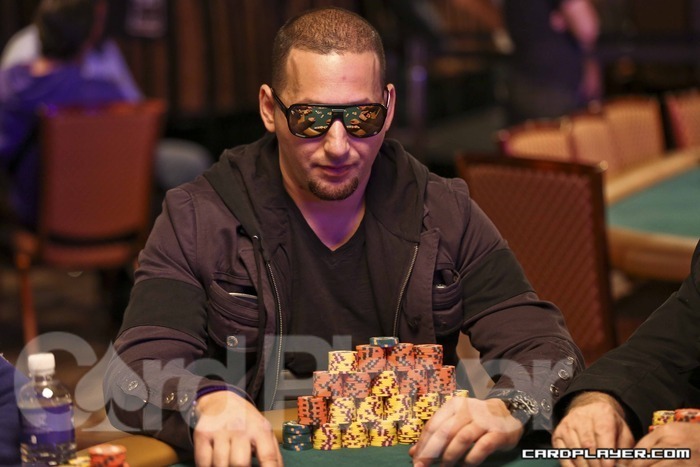 50, taking home the $589,687 grand prize and the fiftieth gold bracelet of the 2012 WSOP. Dan Smith opened the button for 250,000, Panayote Vilandos reraised to 720,000, Smith moved all in and Vilandos called. Smith was ahead before the flop with A K against Vilandos’ A 10 . The board came 8 6 3 10 6 , giving Vilandos top pair on the turn to win the pot and eliminate Dan Smith in 3rd place ($368,943). Panayote Vilandos took the chip lead going into heads-up play with about 9.2 million to Kyle Julius’ 5.9 million. The final table of Event no. 50 ($5,000 No-Limit Hold’em) is back underway, and Card Player will be posting level-by-level updates with all of the action, current chip counts, and prize distributions. Day 3 ended with the conclusion of Level 30 and the remaining three players have returned to begin an unscheduled Day 4. Play will begin in Level 31 with blinds of 50,000-100,000 with a 10,000 ante, and will continue until a winner is determined. Thomas Conway was previously crippled after Derek Gregory doubled through him with a pair of kings. Conway missed the board with his ace-high and was left on the short stack with just 60,000 after the hand as Gregory doubled up to almost 2 million. On the next hand, Kyle Julius opened the pot for 100,000 before the flop, Thomas Conway called all in from the small blind and Kevin Schulz called from the big blind. Both players checked the side pot through the river on a board of A 9 9 2 A .
Julius turned over Q 8 for two pair with a queen kicker and Schulz showed the same hand with Q 3 . 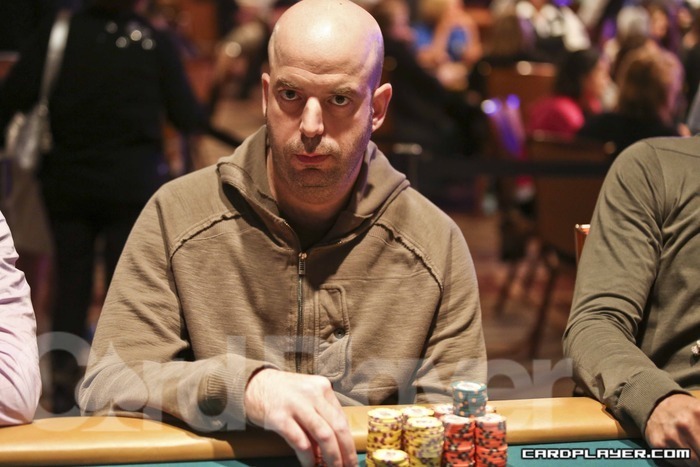 Thomas Conway threw his 8 4 into the muck and was eliminated in 6th place ($148,198). 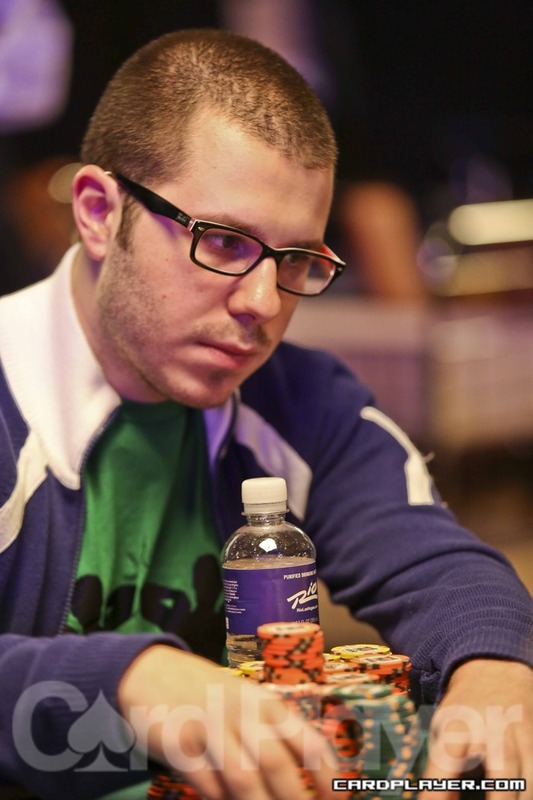 Amir Lehavot raised to 65,000 before the flop, Kyle Julius reraised to 120,000 from the button and Lehavot called. The flop came K 9 8 , Lehavot checked, Julius bet 75,000 and Lehavot called. The turn was the 10 , Lehavot checked, Julius bet 165,000, Lehavot moved all in for 870,000 and Julius called the check-raise. Julius was ahead with 10 8 for two pair against Lehavot’s top pair with k J . 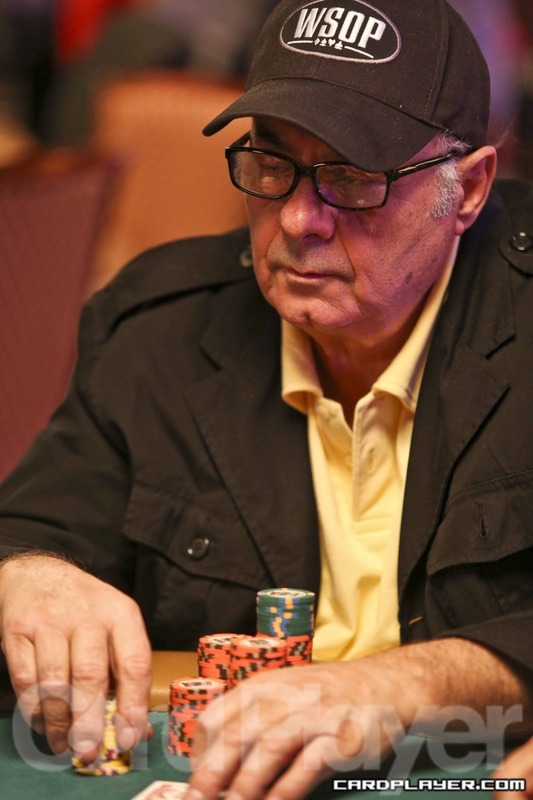 The river was the 4 , offering no help to Amir Lehavot who was eliminated in 9th place ($67,889). Julius moved up to just under 3.8 million that hand. Tommy Vedes open-shoved before the flop for 145,000 and Thomas Conway called. Vedes was all in for his tournament life and ahead before the flop with J J against Conway’s K J . The board came A K 6 Q 3 , giving Conway a pit of kings on the flop to win the pot and eliminate Tommy Vedes in 8th place ($86,896). Conway ended the hand with about 1.5 million in chips. The final table of Event no. 50 ($5,000 No-Limit Hold’em) is now underway, and Card Player will be posting level-by-level updates with all of the action, current chip counts, and prize distributions. Day 3 began with 48 players spread out over 6 tables, and with the elimination of Erik Aude in 10th Place ($53,728), the final table is now set. Play will begin in Level 26 with blinds of 15,000-30,000 with a 5,000 ante, and will continue until a winner is determined.